Love to discover new gadgets, handcrafted creations or one-in-a-million objects but no time to browse for hours? 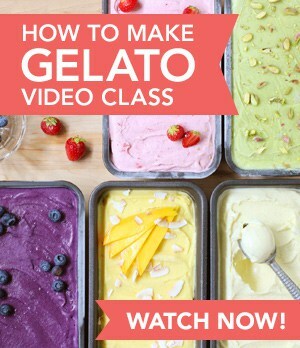 Shopping Gourmand is for you! Because of the great response I had with last week’s Shopping Gourmand, I’ve decided to post weekly until the end of the year! 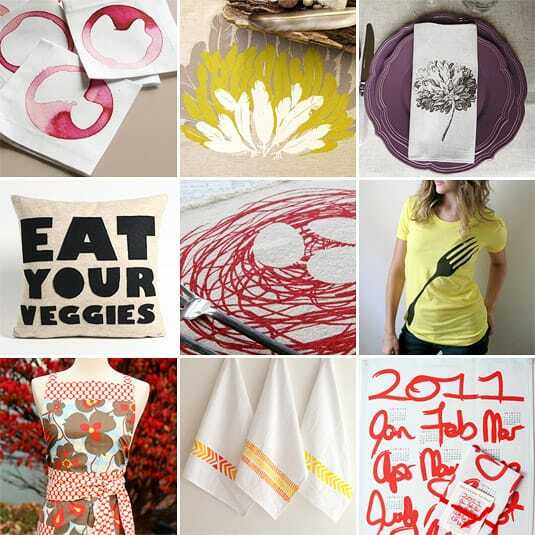 I hope this post series will help you find original, inspiring and affordable gifts. Note: I am not making a dime presenting you these finds. I just think great indie shops and artisans deserve to be talked about. And I love to get an excuse to shop! An entire room can be brightened up by the addition of colorful linens. Here are eye-catching accessories that you will undoubtedly want to add to your wish list. Details about each item featured in the collage can be found by clicking through to the post. 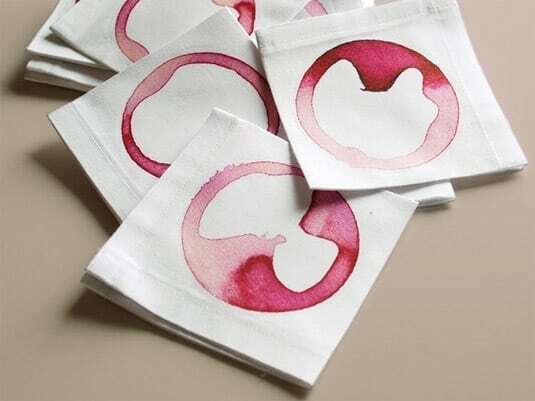 These cocktail napkins will stop you worrying about party stains. Avril’s lipstick and fortune cookie napkins are just as great. 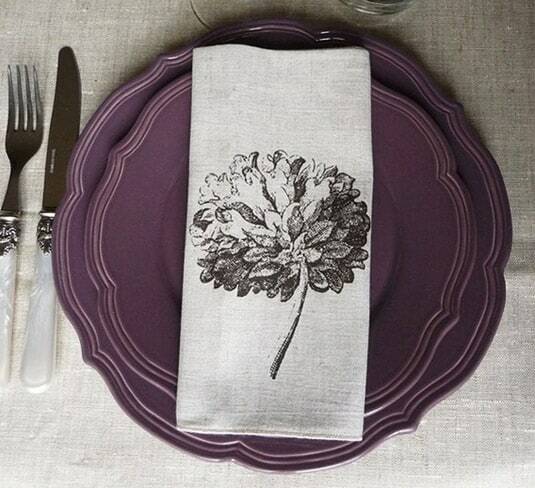 Is it just me or these napkins exude Paris’ effortless charm? 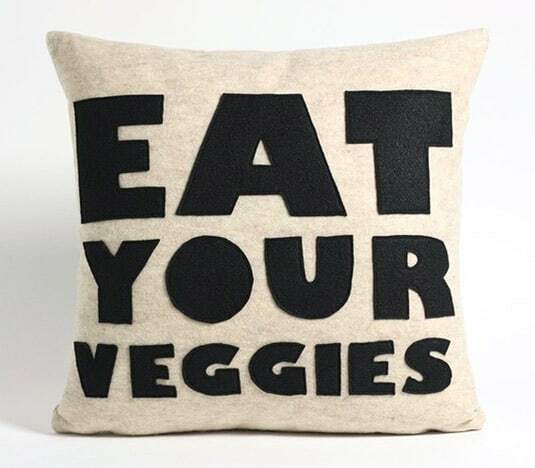 A cheeky pillow that will spark conversations. 16 x 16 inch. 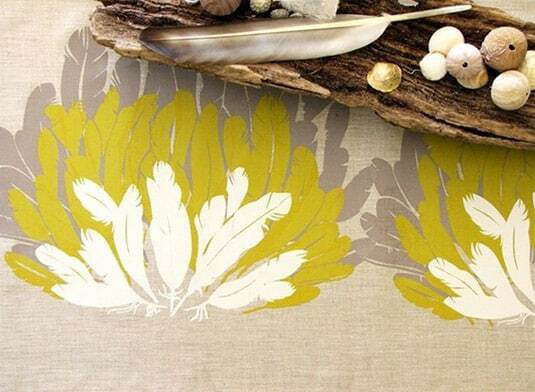 Soft and textured fabric, warm natural tones, eggs in a nest pattern: the perfect setting for comfort foods. 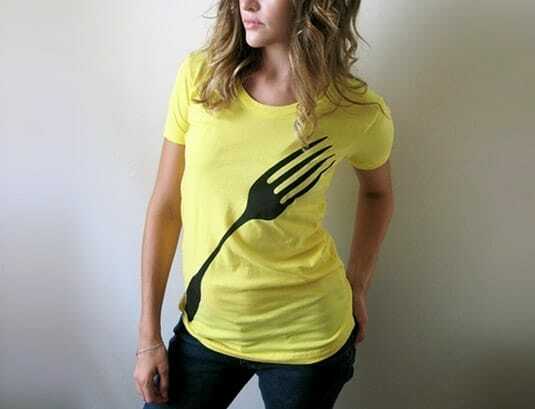 I have a soft spot for graphic tees and had been looking for foodie designs for a while. I love this very graphic giant fork that precisely illustrates the size of my appetite. 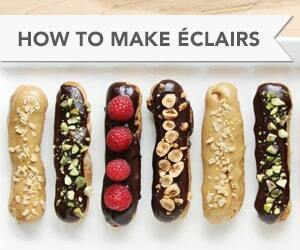 There is no excuse to wear a boring apron anymore. I love this one’s contrasting patterns, design details and wide ties. 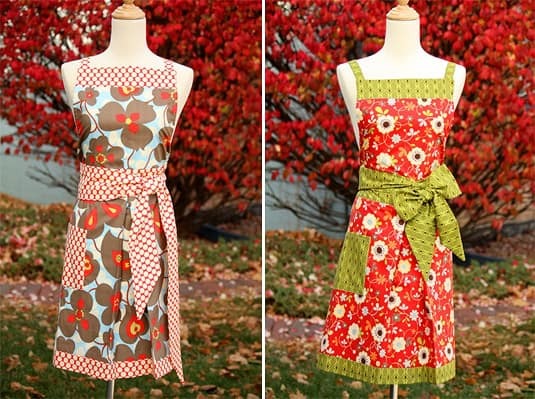 Gourmet Threadz also sells beautiful half-aprons. I was immediately charmed by the delicate minimalist pattern and warm subtle gradient. Beautiful enough to be used as wall art. 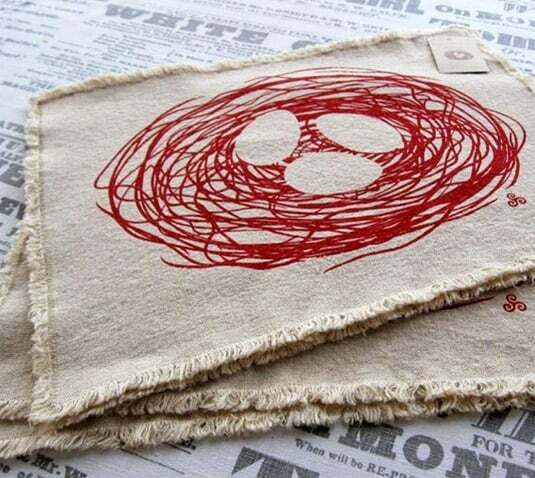 Each towel sold separtaely – also sold in green and blue. 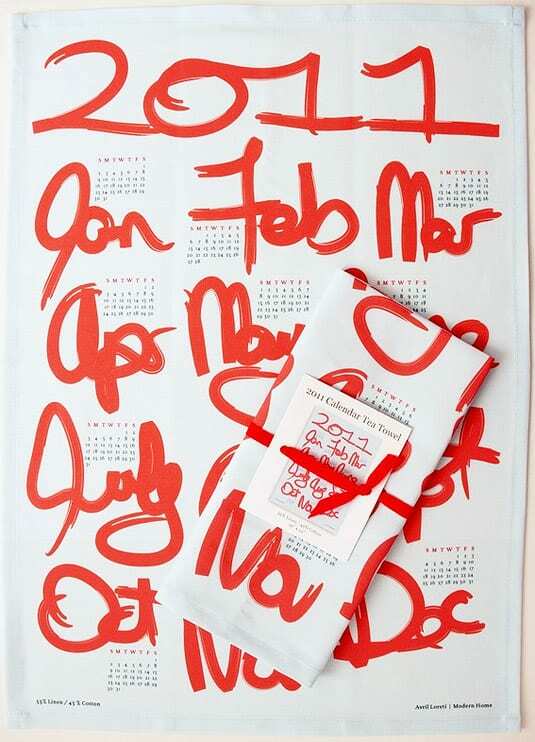 Start the new year smiling with this modern 2011 Calendar Tea Towel. I hope Avril Loreti will create a new pattern yearly so that I can start a collection. Sorry I missed you at the show! Hopefully we can meet at the Spring show! Happy Holidays! 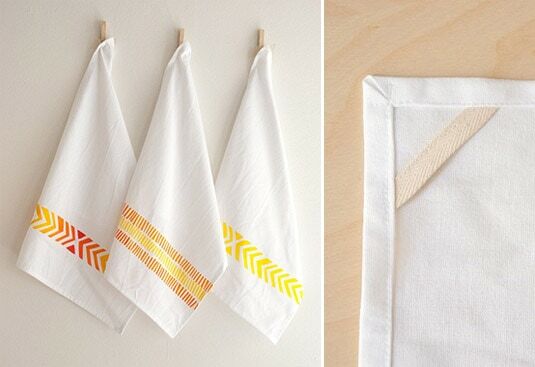 Linens can be as important as the meal itself. Don't get me wrong: A nice rustic, exposed wood can be more beautiful than the finest, crispest linen…but it's the spirit, not the letter that matters here. It's about contributing something to the experience of the meal itself, which is part of what I also explore on my blog, http://gluttonforreward.blogspot.com. Great selection of bright and beautiful linens! I'm already thinking about what the 2012 will look like! What would be your favorite color combination?